A sermon preached at Christ Church SeiKoKai, the historic Japanese congregation in San Francisco by Christopher L. Webber on May 3, 2015. One week ago, their Rector retired so this was the first week in their interim time. No priest can please everyone. Years ago there was a football coach at Yale – an Ivy League school without big athletic scholarships where it’s a challenge to get “student athletes” – who said he thought his job was to keep the alumni “sullen but not mutinous.” I was struck by that and I thought it might apply to the work of a parish priest: to keep the members “sullen but not mutinous.” Or to put it another way: challenged and not satisfied. My point is that none of us should ever be satisfied. The priest who sets out to please everyone will probably please no one and will certainly not help the congregation move forward and face challenges and make the changes needed to be an effective church carrying on a ministry to its own members and others. Now I’m saying all this not just because this congregation has arrived as of last Sunday at such a transition point. Some of you have grief work to do and some not so much because I’m sure you’ve been challenged in many ways and that’s always valuable. But I’m saying these things also because the gospel this morning is from a section of St John’s gospel that is sometimes called “Jesus’ Farewell Address.” In the other three gospels we hear very little about what Jesus said at the Last Supper because the focus is on what he did. He took bread and gave thanks and broke it and gave it to his disciples. And Christians have done that same thing ever since. But St John spends four chapters, 20% of the whole gospel, telling us what Jesus said and nothing of what he did. I doubt Stina Pope spent that long last Sunday giving you farewell instructions and there was no need. Jesus gave us those long ago and we’re still working on it. But times of change might give us an incentive to think about what’s essential, what matters, what our priorities are and I think we could start almost anywhere in the New Testament and find good advice: the Summary of the Law, the Sermon on the Mount . . . It’s not as if we need to wonder. But today’s gospel narrows the focus and I think it focuses in in a very helpful way on what matters most to us here and now. Jesus gives us an analogy: a vine and its branches. Most of us have probably been to Napa Valley one time or another – though as a New Yorker I want to put in a word for the Finger Lakes wineries of upstate New York. We have wineries too! 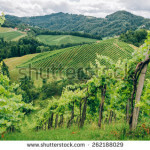 So whether we come from New York or California we can easily picture the hillsides covered with grape trellises. But our picture this morning has a narrower focus: just picture one vine and its many branches. That’s us. That’s God’s church. One vine with its branches. “I am the vine,” Jesus tells us, “And you are the branches. . . Those who abide in me and I in them bear much fruit.” Let’s start from that. Again and again in the New Testament we find that stress on unity and a variety of images for it. Think of it, as we did last week, in terms of a shepherd and a flock of sheep. “I am the Good Shepherd,” Jesus said. That phrase makes us think of the 23rd psalm and the shepherd who leads the flock beside still water and makes them lie down in green pasture. Sheep, I was saying last week in a different church, are not smart. They wander, they get lost, but the good shepherd brings them back and keeps them together. This week the image is different but the point is the same. Unless you abide in me, Jesus says, you have no life. The image is different but the point is the same. Each image is helpful. The branches can’t wander away from the vine the way we tend to do; We may be more like sheep than branches in that respect. But the branches depend for life on the vine even more completely than the sheep depend on the shepherd. There’s a deeper unity: life flows through the vine and into the branches. “Abide I me,” Jesus said. I’m not sure “abide” is a very useful word here. It’s a bit out of date; not a word we’re likely to use. One modern translation that I think is helpful says, “Live in me and I will live in you.” That’s almost too graphic; it might conjure up pictures of pregnancy and the fetus in the womb. That’s the clearest example I can think of of living in someone else. But just that truly and fully, Jesus is suggesting we should live in him and he in us. Life comes from him. Without him life is incomplete and barren and dead. Jesus said, “Live in me.” So let’s start with that and ask what kind of farewell discourse this is in which there’s finally nothing about separation at all but much about growing into a new and deeper and total unity. That first. Unity. Sharing life in Christ. Then a warning. One thing we can’t help noticing about those grape vines on the Napa hillsides, the Finger Lakes hillsides, is that they are radically pruned and trained. But I moved here directly from Connecticut and they do make wine also in Connecticut but grapes also grow wild in Connecticut. For twenty years I lived on a Connecticut hillside with only woods around us – no neighbors nearer than half a mile. 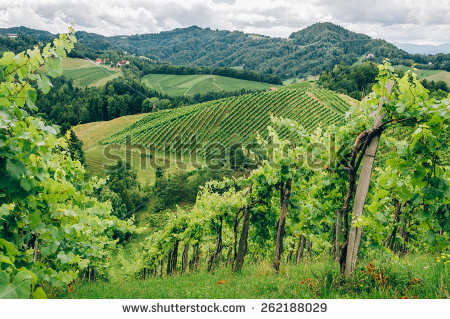 Late in the summer I would wander around the edge of my orchard and check the stone walls along the road looking for grapevines and wild grapes to harvest. I would find them sometimes sprawled along the top of a stone wall but sometimes also high above my head in the branches of an evergreen. There would be clusters of grapes far beyond my reach and I would pull them down and harvest them. Every few years I would pull down the vines and cut them off before they killed the tree or pulled down the stone wall. Grape vines, wild or cultivated, need to be pruned or they become destructive. In fact, if those vines aren’t pulled down and cut back they not only kill what they’re growing on they kill themselves. They grow beyond any usefulness. Vines need to be pruned. You know there are various images of that also in the New Testament: pruning back, cutting back, dividing sometimes instead of uniting. Separating sheep from goats is one such image of separation. Then there’s the wedding feast and the guest without a wedding garment and there’s the story of the ten foolish virgins who let their lamps go out and got shut out from the wedding feast. Jesus never suggested that heaven is open to all, “Y’all come.” No, there’s a judgment and not all will be ready. In today’s gospel we hear about branches that bear no fruit and so are cut off and thrown in the fire, and I wonder whether we should look at that in terms of the church today. Is that what’s happening? It’s not a matter of individual churches or even denominations, there’s a winnowing process going on, a pruning. Church memberships are declining. It’s uncomfortable, of course, but I wonder whether, in God’s providence, there’s a purpose, whether God is saying, “You aren’t producing the fruit I’m looking for. It’s time for some pruning, some cutting back.” “I see big churches and comfortable pews, God might say, but I don’t see a transformed society; I see a society in which the rich are getting richer and the poor are being shut out of the wealth all around you and violence is all too common. I see a nation that tries to get its way by armed force, that calls itself Christian but comes across as a rich bully. I’m not seeing the fruit I looked for.” God sometimes will prune and cut back to get better results, better fruit. You know that’s an image that you find in the Old Testament as well. The prophet Isaiah pictures God as planting a vineyard on a fertile hill. He plants it and prunes it and cultivates it but gets only wild grapes. Now I happen to like wild grapes and I used to make some very nice jelly from the wild grapes on my land. But I didn’t plant them or cultivate them; I had no stake in them; and I had no expectation of a fine Merlot or Beaujolais. But I know the feeling. Ask me about apple trees that I planted and trimmed and cared for that never produced. That’s a different story. But the prophet was talking about Israel and he asks why when he looked for justice he saw oppression and why, when he looked for righteousness, he heard only a cry. So is God pruning the vine? Is God cutting back a church that has grown too comfortable, that’s not making a difference in a world where there is still oppression and too much pain. All I can do is ask, and if we’re too far removed from the vineyards and sheepfolds to relate to this imagery you may have read as I did in the papers last week about Starbucks closing outlets and MacDonalds reducing their menus. Anyone in business understands: if it doesn’t work, don’t do it; cut it back. Is God pruning the church? God surely has a right to expect a better return on the investment. There are comfortable churches and contented Christians but we live in a nation that hasn’t found a way to value all lives equally and proclaim a gospel that changes lives. Yes, individually we may find here the strength and comfort and guidance and meaning that we need for our lives but have we shared the treasure? Have we produced the fruit? But let’s just take one more close look at the parable. “Live in me as I in you,” Jesus said; “apart from me you can do nothing.” Right. Nothing. But with Jesus, and in Jesus, ah! that’s another matter. With Christ and in Christ, there’s a blank check, an unlimited promise. “If you abide in me,” Jesus said, “and my words abide in you, ask for whatever you wish, and it will be done for you. My Father is glorified by this, that you bear much fruit and become my disciples.” My Father is glorified in this: That you bear much fruit and become my disciples. This is what God wants and this is what God is capable of doing: that we bear fruit, that lives are changed and that we become disciples. I’m struck by that word “become.” I wonder what those at the Last Supper thought of that: “that they become Jesus’ disciples.” I imagine them thinking, “Well, who does he think we are right now? Who has been closer? Who has been following him down the dusty roads these last three years? Who has been here to open the door and arrange for the services and pay the bills.” We might say the same thing. And of course that’s important and makes a difference. But are we there yet? Wasn’t it Jesse Jackson who used to say, “God isn’t finished with me yet.” Well, I hope I can say that myself. I’ve sometimes recalled a scene in the great Ingar Bergman movie The Seventh Seal where a juggler says, “I want to do the one impossible trick. I want to make the ball stand still in mid-air.” And then there was the English poet. Robert Browning, who said, “a man’s reach should exceed his grasp.” Don’t we still have hopes for this church: goals unmet, dreams unrealized? I’m sure the diocese will ask that kind of question in the next few weeks and I don’t think the goals need to be unrealistic. I’m not sure our prayers can reform the Baltimore police department or disarm the Taliban, at least not any time soon, but there are certainly ways this congregation can make a difference through our prayers and witness, some we will never know of, but valuable fruit for the Lord of the Vine. I don’t think we need to be actually either sullen or mutinous but – what shall I say – maybe constructively unsatisfied? and hoping, praying that God will give us a clear enough vision of what this church can be and faith enough in the Lord of the Harvest to hold onto the vine, to draw closer to Jesus, and produce the fruit God seeks from us.